AFD Contract Furniture Executives. Leadership by Design. 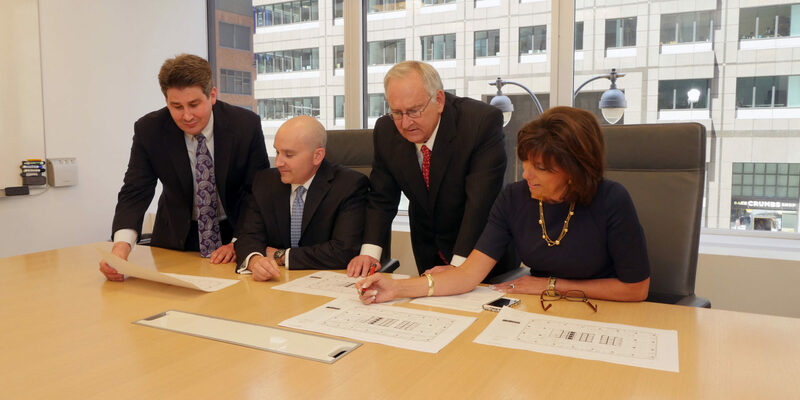 The management team at AFD oversees one of the foremost, furniture management companies with a structure that is unique within the dealer community. This forward-thinking organization has five fully integrated divisions consisting of Account Management, Technical Services, Technology, Operations, Finance/Administration, and Strategic Solutions — all facilitated by these industry-leading furniture executives. 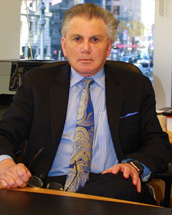 After practicing law for a number of years, Richard joined his father Sam as Co-Founder and President of AFD in 1980. Today, Richard continues to facilitate the company goal of staying in the forefront of industry trends and value added services. His close working relationships with all major clients and sales teams has been instrumental in the rapid growth of AFD. Richard spearheaded the 2002 start up of AFD Puerto Rico, the 2011 opening of IWE in Costa Rica and the 2016 opening of IWE in Panama. 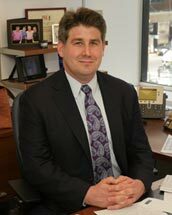 Richard has a BA from George Washington University and a law degree from Fordham Law School. He is also a member of the NY State Bar Association. David serves in a general management capacity at AFD and is responsible for overseeing all client activities including ensuring design, schedule, and financial objectives are achieved. David works with clients to implement cost-effective furniture solutions that best leverage the resources of AFD and the manufacturers we represent. David joined AFD in 2002 as a salesperson, moved into management of sales and then into general management responsibilities. David is the third generation Aarons to be involved in the company and works closely with all AFD’s sales teams. David holds a BA from Emory University, a Master of Science in Business Administration from the University of Florida, and a Master of Science in Real Estate with a concentration in Asset Management. 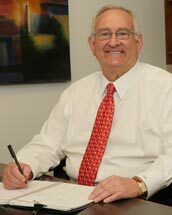 As one of the owners of AFD, Ted has been instrumental in leading the firm since he joined in 1982. In conjunction with Richard Aarons, he has helped grow AFD from an $8 million revenue company in 1982 to one of the largest office furniture dealers in the country. Ted facilitates the exploration of alternate financial arrangements for purchases (i.e. leasing), initiates buying agreements, and conducts contract negotiations with manufacturers. He represents the interests of AFD’s clients to Steelcase, the Design Partnership Companies, and other preferred manufacturers. Prior to joining AFD, he was a VP of a Welsh, Carson, and Anderson-owned company. Before that, Ted spent 8 years at the ITEL Corporation, as a regional Vice President. Ted holds a BS degree from the University of Hartford. David serves in a general management capacity at AFD and is responsible for supervising and maximizing all client activities related to design, schedule and financial objectives. David works with clients to implement cost-effective furniture solutions that best leverage our resources and those of our manufacturers. As a key member of the management team, he spearheads the new business development team at AFD. David first started working for AFD in high school, loading trucks and organizing various departments in the warehouse. Prior to joining AFD full time in 1999 as a salesperson, David worked for UBS in the equity research department. He specialized in developing and marketing research reports to institutions for the healthcare industry. David holds dual BA degrees in Economics and History from Hobart College. Todd brings over 15 years’ of financial management experience with a background in both accounting and tax. He is directly responsible for all financial aspects of the business including accounting and tax practices, budgeting, financial planning, financial analysis, and monitoring of financial performance. 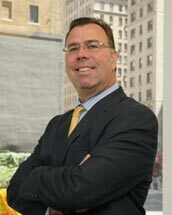 Prior to joining AFD, Todd was with Deloitte and Touché and served as a senior manager in the advisory services group. 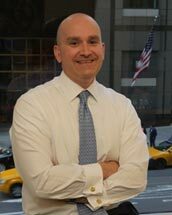 Todd holds a BBA in accounting from Hofstra University and is a certified public accountant in the states of New York, Texas and Oklahoma. Senior Vice President, Global Accounts. As a senior account leader with responsibility for the strategic planning and management of national and international accounts, Deb has been instrumental in helping our major clients accomplish key business goals. Participation in product and service initiatives have included: developing corporate furniture standards that meet immediate needs while allowing the greatest flexibility for day-two changes using the smallest kit of parts; the implementation of national project management procedures for new and existing furniture; developing procedures for the “reuse of existing”, including migration of client standards, and the management of surplus furniture; researching and providing various solutions in regard to ergonomic issues and training; the introduction of SnapTracker for asset, inventory, and warehouse management; development of customer-specific Online Standards Catalogs for AFD; and the implementation of e-commerce and asset management solutions. Deb leads a nationwide team of highly trained, motivated, cross-disciplinary individuals whose mission is to complete each project on time and on budget She has been instrumental in implementing the use of electronic project management tools and visualization. Executive Vice President and General Manager. 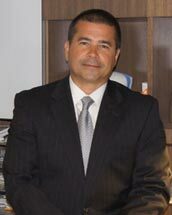 Salvador brings over 30 years of experience to the furniture solutions Industry. He serves in a general management capacity for the Puerto Rico, Costa Rica and Panama operations. In addition, his responsibilities include overseeing all business activities, including new business development, sales, client relations, design, operations and vendor relations. Salvador joined AFD in 2002 when, together with Richard Aarons, he started the Puerto Rico operation and then, in 2011, started IWE International, a wholly owned company of AFD with operations in Costa Rica (2011) and Panama (2016). Salvador has been instrumental in AFD’s growth in Puerto Rico and throughout the entire Latin America market. He holds a BS in Finance and a BA in Management both from Bentley College (now Bentley University) in Waltham, Massachusetts. 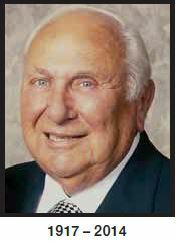 After serving his country in the armed forces during the Second World War, Sam Aarons began working in the furniture industry and soon discovered his passion for rebuilding furniture and building business. In the early days, Sam would work all day selling surplus furniture and acquiring accounts. Then at night, he would stay to refurbish the wood furniture with his own hands. Over time, he built a partnership and a thriving office furniture business. After many years of continued success, Sam knew it was time to raise the bar when he co-founded AFD, along with his son Richard, in 1980. Since that point, this small family business has grown exponentially to become one of the leading companies in office furniture management. Today, a new generation of leadership is in place at AFD. Until his passing in 2014, Sam continued to come to work regularly to lend his wisdom and expertise gained from a lifetime of industry experience and his love for people and service. Sam inspired us with his leadership, dedication, mentorship and friendship. He will always be remembered. As industry-leading furniture executives, it’s important for us to provide insight and office furniture leadership for our customers. Our success, as recommended office furniture dealers, depends on the success of each and every project we manage. In turn, the success of your new office setting drives the growth of our business and builds the reputation of our leading, office furniture management team.At AFD, our office furniture executives and staff are here to help create spectacular workspaces that maximize real estate costs and attract and retain employees and customers. Our customer base includes corporate, technology, automotive, education, healthcare, legal and government facilities looking for office furniture leadership. Our office furniture management team and project team puts our collective expertise to work to plan, create, deliver, and install collaborative and productive workspace environments. Since our founding in 1980, our furniture executives have provided office furniture leadership for projects and clients of all sizes. From initial installation to maintenance and support, our office furniture management team offers a complete menu of solutions and services for interior environments. AFD has grown over the years as our office furniture leadership has expanded to become one of the largest office furniture dealers in the nation. Each of our office furniture executives attributes the success of the company to our entire office furniture management team at AFD.